The British Golf Open at Carnustie is upon us and with that in mind, We show you how to increase your driving distance? Firstly lets breakdown what makes a powerful swing and long drive. “For every action, there is an equal and opposite reaction” So the famous third law of physics says. The statement means that in every interaction, there is a pair of forces acting on the two interacting objects. The size of the forces on the first object equals the size of the force on the second object. In this instance how can we produce force to create a reaction? If we think of working from the ground up and the importance of the leg drive, it has been long known that boxers with a greater squat strength have a greater punch. Why you might ask? Newtons third law is the answer, boxers generate their punching force from their legs and hips at the start of their movement. So why can’t golf players do the same? 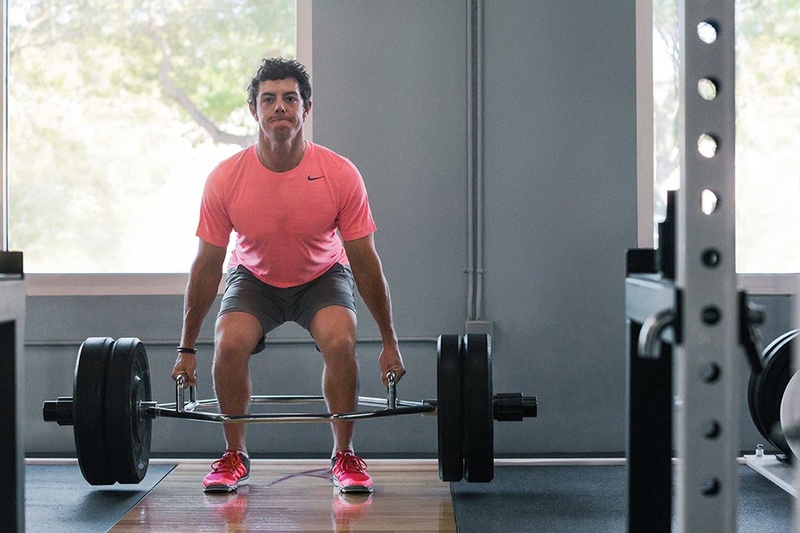 Here is a great example of Rory McIlroy working on his leg strength to improve his drive distance. 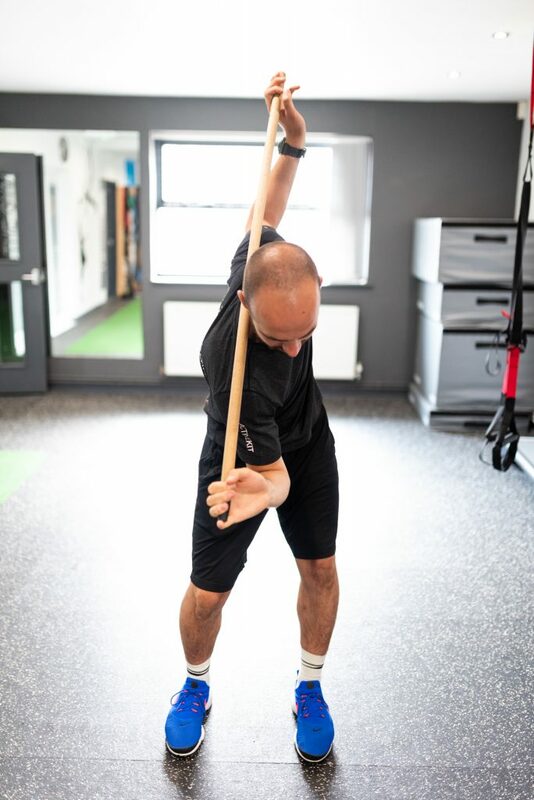 Next lets look at mobility, and core strength in one. 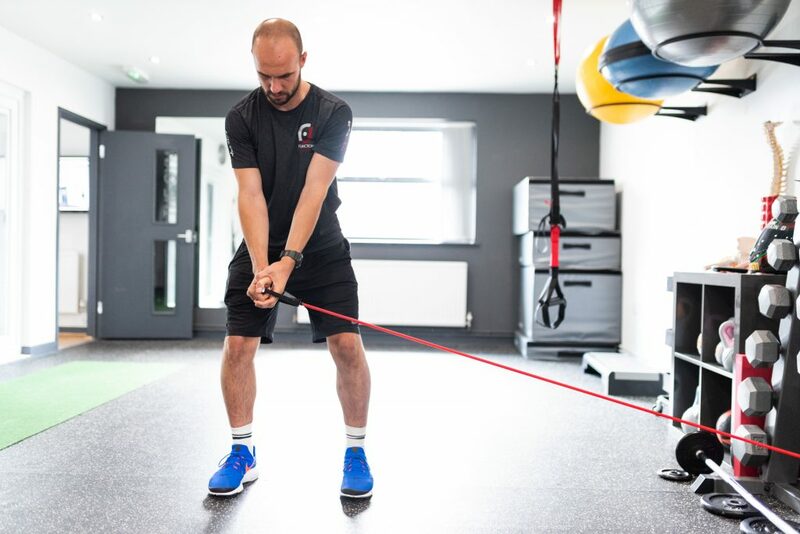 Mobility through the hips, shoulders and mid spine (thoracic) is vitally important to create the maximum backswing and the elasticity needed to create force through the down swing and into the ball contact. 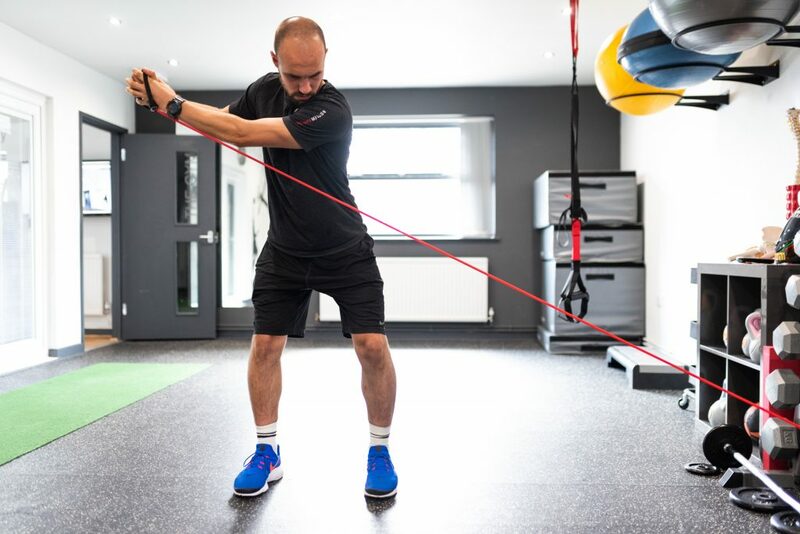 Here we have some simple examples of mobility for the thoracic region and some simple exercises to increase strength and elasticity at the end of the backswing. This exercise is great to work on mobility and assessing the ability to keep your eyes on the ball throughout, from the picture on the right you can see how Tom is over rotating and losing head visuals with the ball. 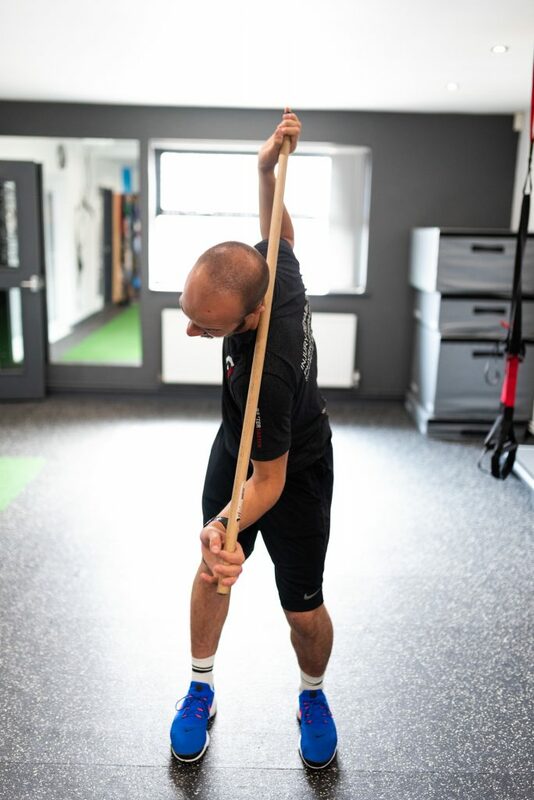 Here this exercise shows the control needed for the end of the backswing and how important it is to maintain a good posture with shoulders. Moving to the top of the backswing and hips facing the ball.